Kona Coffee Belt is the market name for coffee (Coffea arabica) that is 100% cultivated on the slopes of Hualalai‘s Kona Coffee Belt and Mauna Loa land in the North and South Kona Districts of the Big Island of Hawaii. In It’s 100 percent pure form it leads as one of the most expensive coffees in the world backed up by fabulous flavor and lift. Only coffee 100% from the Kona coffee belt Districts can be described as “Kona” or “pure Kona”. The Kona coffee belt weather of sunny mornings, cloud or rain in the afternoon, little wind, and mild nights combined with the Kona coffee belt’s porous, mineral-rich volcanic soil create favorable coffee growing conditions. The loanword for coffee in the Hawaiian language is kope, pronounced kope. The coffee plant was brought to the Kona coffee belt district in 1828 by Samuel Reverend Ruggles from 100% Brazilian cuttings. English merchant Henry Nicholas moved and established Kona coffee as a recognized brand later in the 19th century. 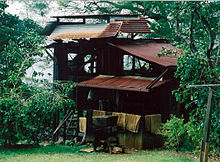 The Kona Coffee Belt Store and Farm have since become museum tours. In other parts of the Hawaiian islands, cafe tree’s were grown on large plantations, but the 1899 world coffee market crash caused plantation owners to lease land to their workers. Most were from Japan, brought to work on sugarcane plantations. They worked their leased parcels of between 5 and 12 acres (49,000 m2) as family concerns, producing large, quality java crops. The tradition of Kona coffee belt family farms continued throughout Kona. The Japanese-origin families have been joined by Filipinos, mainland Americans, and Europeans. There are approximately 800 Kona coffee farms, with an average size of less than 5 acres (20,000 m2). In 1997 the total Kona coffee belt area was 2,290 acres (9 km2) and green Kona coffee production just over two million pounds. Kona coffee belt blooms in February and March. Small white flowers known as “Kona snow” cover the tree. Green berries appear in April. By late August, red fruit, called “cherry” because of resemblance to a cherry, start to ripen for picking. Each Kona coffee belt tree is hand-picked several times between August and January, provides around 15 pounds of cherry, which result in about two pounds of roasted coffee. In the Kona coffee belt within 24 hours of picking, the cherry is run through a pulper. The 100% Kona beans are separated from the pulp and then placed overnight in a fermentation tank. The fermentation time is about 12 hours at low elevation or 24 at higher elevation. The Kona coffee belt beans are rinsed and spread to dry on a hoshidana or drying rack. Traditional hoshidanas have a rolling roof to cover the beans in Kona coffee belt rain. It takes seven to 14 days to dry beans to an optimal moisture level of between 10 and 13% (by Hawaii Department of Agriculture regulations: 9.0-12.0%). From here, the Kona coffee belt beans are stored as “pergamino” or parchment. The parchment is milled off the green bean prior to roasting. Old Kona Coffee Beans mill at the Kona Coffee Belt Farm. Kona coffee beans are classified by law according to seed. Type I 100% Kona coffee belt beans consist of two seeds per cherry, flat on one side, oval on the other. Type II 100% Kona beans consist of one round bean per cherry, otherwise known as peaberries. Further grading of these two types of beans depends on size, moisture content, and purity of bean type. The grades of Kona coffee belt type I are ‘Kona Extra Fancy’, ‘Kona Fancy’, ‘100% Kona Number 1’, ‘Kona Select’, and ‘Kona Prime’. The grades of type II are ‘100% kona peaberry coffee, Number 1′ and ‘Peaberry Prime’. Also, a lower grade of coffee, called ‘Number 3’ (or ‘Triple X’) can not legally be labeled as “100% Kona” but as ‘Hawaiian’ coffee. Any bean grade below Number 3 is considered ‘Offgrade’ from Kona coffee belt and can only be labeled as generic coffee. Not an official classification grade, but commonly used by Pure Kona Coffee Farmers, is the ‘Estate’ grade where the various grades are not being separated from each other. Only the ‘Number 3’ and ‘Offgrade’ beans are being sorted out in the Kona coffee beans belt.